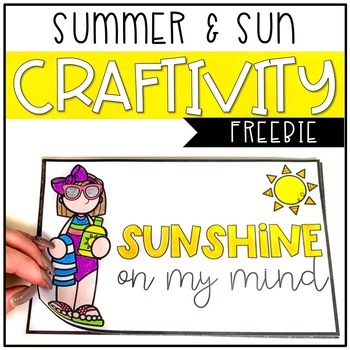 Check out this fun end of the year SUMMER flip book! 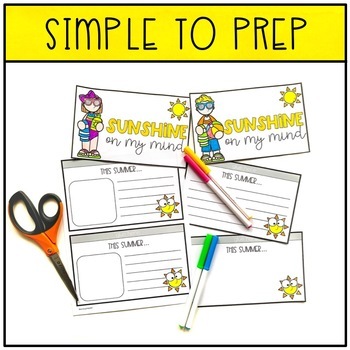 Your students can write and reflect on what they will do this summer. 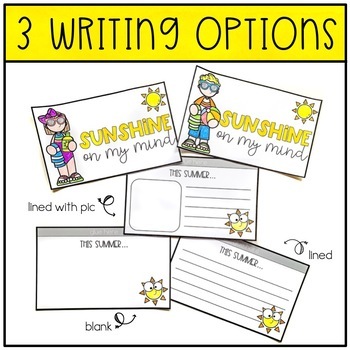 This adorable sunshine inspired writing activity will have students thinking about all of the things they might do this summer and encourages writing skills. After all of the writing, coloring and cutting is finished, students assemble the flipbook. The area to apply glue is clearly marked. Students can display the reasons why they are lucky.